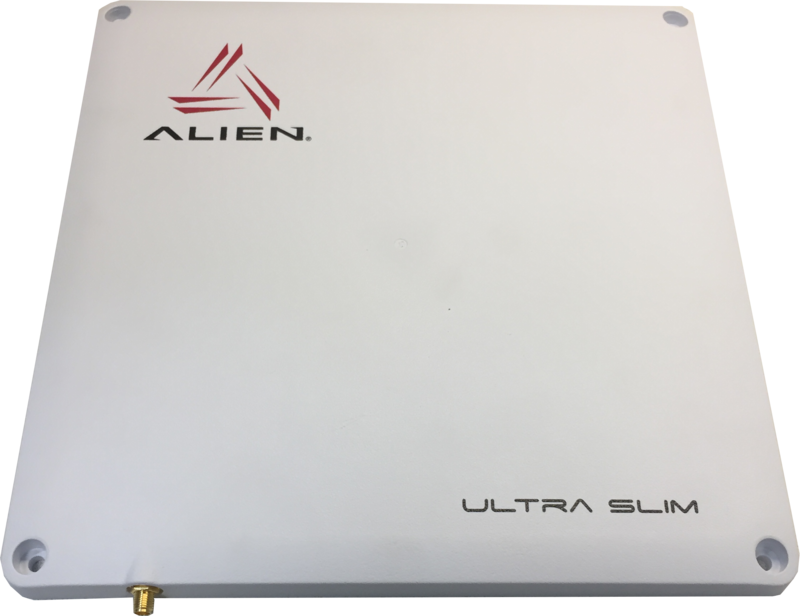 The Alien Technology ALR-A1001 is a high-performance, circular-polarized antenna for use in demanding applications. The ALR-A1001 is a 8.5dBic gain antenna for use with Alien’s readers. Read tags in challenging environment and/or at greater distances. Very robust read capability regardless of tag orientation. These products are covered by one or more of the following U.S. patents: 7716208, 7716160, 7688206, 7671720, 7659822, 7619531, 7615479, 7598867, 7580378, 7576656, 7562083, 7561221, 7559486, 7559131, 7554451, 7411503, 7385284, 7377445, 7364084, 7353598, 7342490, 7324061, 7321159, 7301458, 7295114, 7288432, 7265675, 7262686, 7215249, 7214569, 7199527, 7193504, 7173528, 7172910, 7172789, 7141176, 7113250, 7101502, 7080444, 7070851, 7068224, 7046328, 6998644, 6988667, 6985361, 6980184, 6970219, 6952157. Other patents pending.